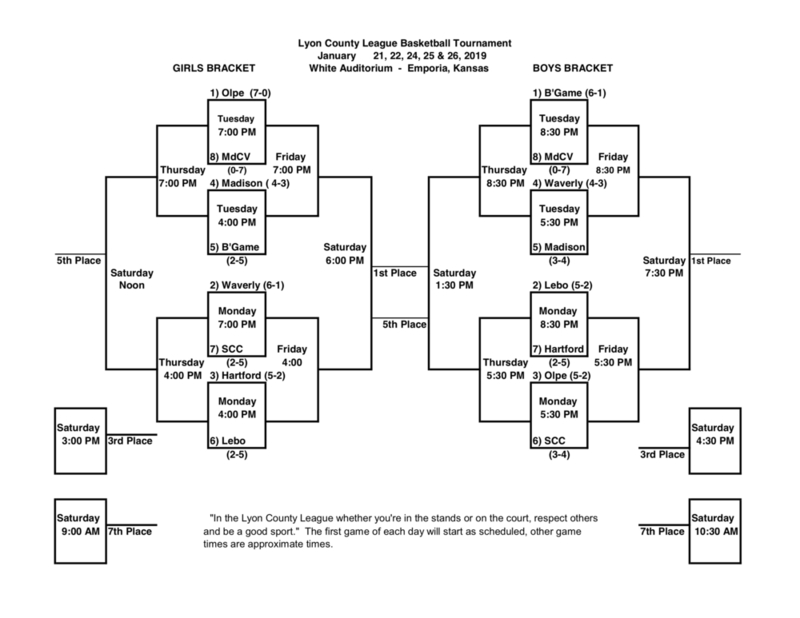 The 98th annual Lyon County League tournament bracket has been completed. The Lady Wolves (2-5 in LCL play and 3-8 overall) are the #6 seed and open tournament play on Monday, Jan. 21 at 4:00 vs Hartford. The Wolves are the #2 seed (5-2 in LCL and 9-2 overall) take on #7 seed Hartford.